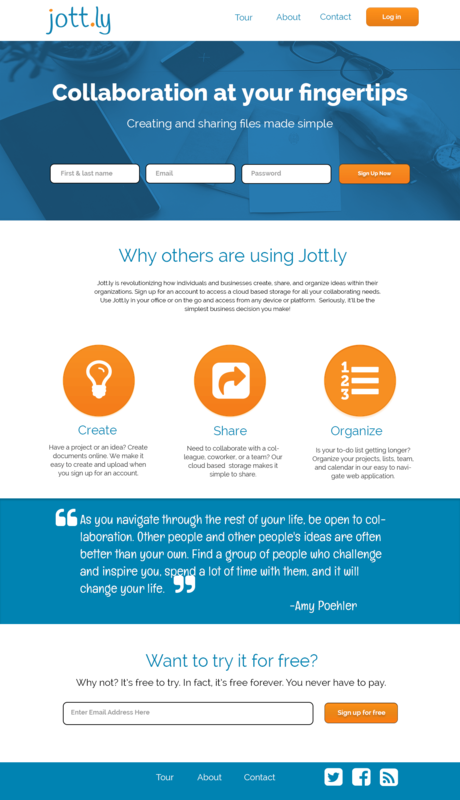 Jott.ly is a SaaS (Software as a Service) web application tailored to help people collaborate on creating content. The application allows users to sign up and create an account, and build simple content pages with the ability to share and organize all of these files. 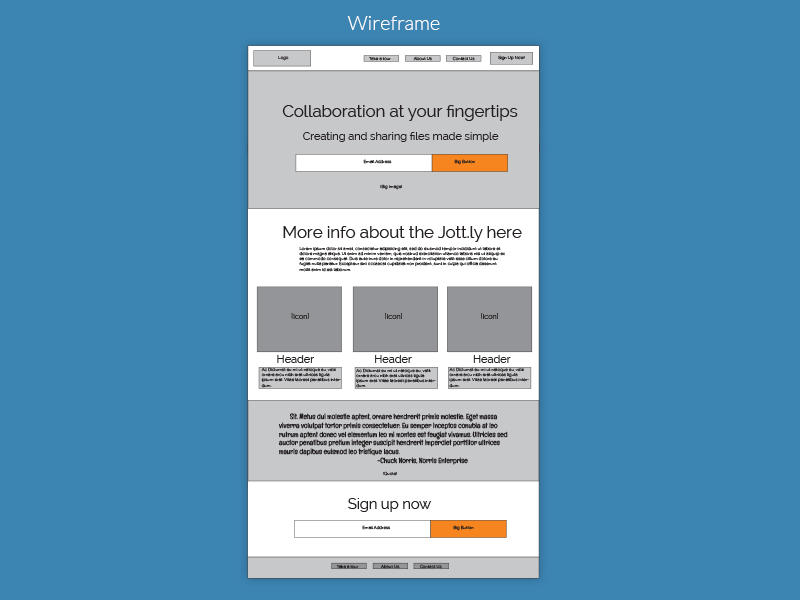 The client had 2 goals: professional, yet modern and give the visitor no excuses to sign up and use the web app. 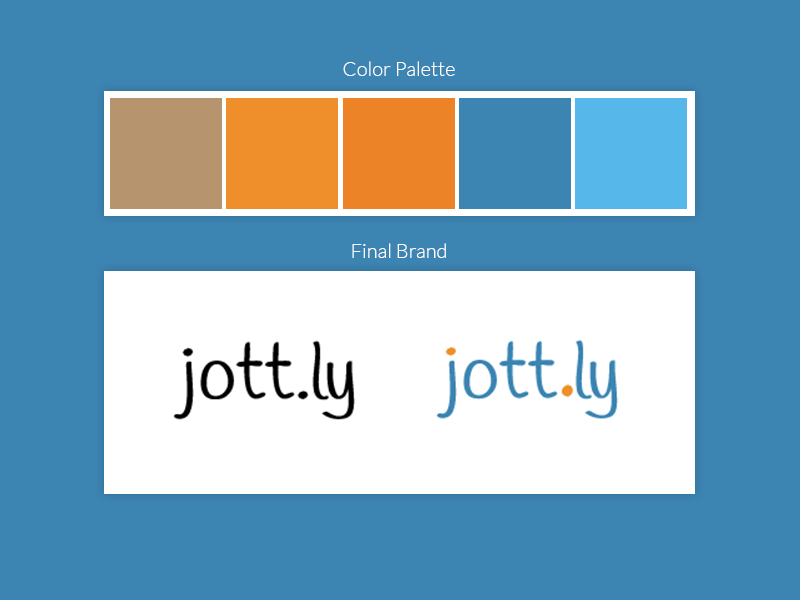 I provided a color palette, logo design, wireframe, landing page design, and front-end development. I chose blue because of the non-threatening, professional cool it allows. And the orange is just enough pop of color to draw the visitor's attention to the "Call to Action" buttons. I am available for freelance web design and some front-end development. I am looking forward to the opportunity to collaborate and bring your ideas to life! 2015. Jennifer Slayton. All Rights Reserved.